The New York Giants have a lot of choices to make this offseason, and one of the big ones is whether or not to draft a quarterback. 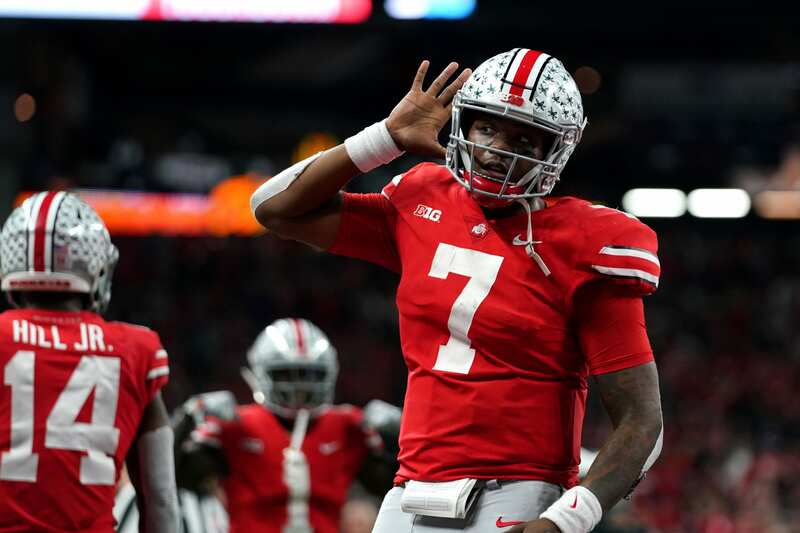 There’s a lot of names being considered, but Dwayne Haskins Jr. is one of the main players being mocked to the Giants by the media. There’s been speculation about whether or not a team will trade up past the Giants, maybe even to number one overall, to select Haskins. But if Haskins is available with the sixth overall pick, there’s a lot of people out there that think the Giants should draft him. Plaxico Burress, Giants receiver from 2005 to 2008, is one of those people who thinks Haskins is the best pick for the Giants rather than Kyler Murray or another player. “My mindset is if Dwayne Haskins is available at the sixth pick, we gotta take him,” Burress said while appearing on Undisputed. Burress also claimed that Saquon Barkley is a generational talent, but that the Giants need to improve at quarterback next. Kyler Murray is another name in the running and has been speculated about a lot since his decision to choose football over baseball by declaring for the NFL Draft. Murray had a better season than Haskins, finishing with the Heisman Trophy and an appearance in the College Football Playoff, but has more question marks as a passer because of his small size and the fact that his college career was spent in an exotic spread offense rather than a more pro-style one. The draft is in April, so there will be more time to evaluate players going forward. But still, it’s clear that right now, Haskins is the player that most experts seem to think the Giants will go for. The New York Knicks Are Boring – Is Hope On The Horizon?